Are Festool Cordless Drills Tough Enough? Do these precision tools hold up in the worst conditions? The T-drill by Festool is tested in extreme conditions. Kyle uses Festool to do custom work on-site saving countless hours and eliminating steps in the process. Festool gives Kyle the confidence that he and his crew can save money while producing high end work. Run longer and run stronger with the new brushless Festool 18 volt cordless tools now featuring 5.2 Ah lithium-ion batteries. The 100-Yard rip cut done in this video demonstrates the extreme run-time capabilities of Festool Track Saw. The Carvex Jigsaw, C 18 Drill Driver, BHC Rotary Hammer, PDC Hammerdrill, and TSC 55 Track Saw were not harmed in the making of this film. Krishna Dorney, owner of Metropolis Construction explains what makes Festool the perfect system for his company. Setup Procedure for Festool MFT by Woodworking Pro & Author Gregory Paolini. He Squares the Festool MFT using Woodpeckers new MFT Square. In this video, we cover initial set up and basic use of the PLANEX Drywall Sander to help get you up and running quickly. Doors & Drawers is a manufacturer of commercial cabinetry in Ann Arbor, Michigan and has been in business since 1981. 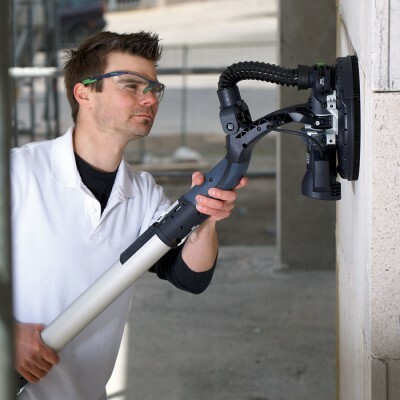 The new Festool CONTURO Edge Bander will give them the capability to edge band on a radius, allow them to take it to a job site, and it will also save premium space in their shop. "Time is money and this tool saves us a lot of time." Chris Marsden is the owner of Marsden Building & Remodeling, a company that primarily does remodeling jobs in Minnesota. After trying many other miter saws, he found that the Festool Kapex has the best dust collection in his opinion. Even using aftermarket solutions and rigging up various ways to try to improve dust collection, other saws were simply not able to capture dust like the Kapex. Festool demonstrates their awesome cordless TSC-55 track saw at Festool Connect 2014. It is shocking how little dust it produces!